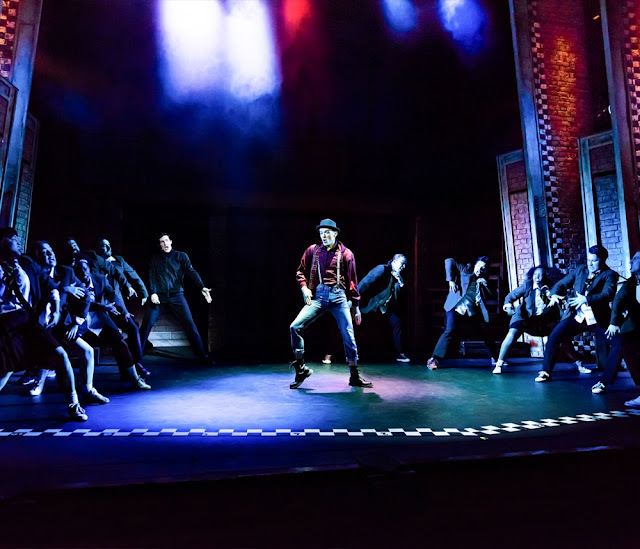 Interview | George Sampson, Our House The Musical. It's hard to believe that it was nearly 10 years ago that we saw George Sampson win the 2008 series of Britains Got Talent at only 14 years old. Admired for his cheeky and cheerful attitude to his break and street dancing routines that saw him win the series. George has gone onto featuring on TV programmes such as BBC's Waterloo Road and even in Emmerdale. He also appeared in movies Streetdance and Streetdance 2 which saw him once again showcase his Dance talents. He has recently started appearing on the stage in pantomimes and now is undertaking his first major role within a musical, starring as the role of Reecey in the new production of Our House, The Madness Musical currently making its way around venues in the UK. I caught up with George recently about taking on this new challenge and whether the Madness music stopped playing once the curtain goes down. 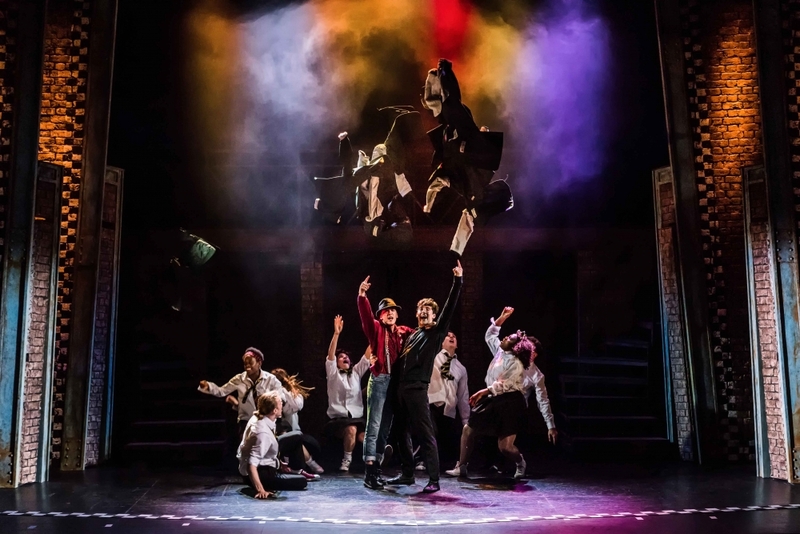 The musical is considered as a jukebox musical, a new genre that celebrates popular hits on the stage, Our House is exactly that but celebrates classics provided by Madness over the years. George explains that "it tells the story of sixteen-year-old Joe Casey (Jason Kajdi), but more importantly about the decisions he makes". The musical is set on the night of Joe's 16th birthday and how a split-second decision will force him to choose between himself and his heart. There are two very different paths that unfold for him, the consequences of that specific choice will change his life forever. "It's a fight between the good and bad Joe to make a decision, there's Reecey or bad Joe which is played by me. It's a nice story though, it has a love story intertwined with it and also focuses on various other relationships too". "Our House was our theme tune to growing up". Playing young people is something that George has really enjoyed doing within this musical, "it's nice to be 16 again" and it's very much a throwback opportunity for him and the other cast too, "It's like going back to high school or college days, we all enjoy the opportunity to do that". The most iconic element of the musical is the soundtrack filled with Madness music, the 70/80s English ska band who I can guarantee has had you up and dancing at some point during a family gathering. For George it's music has always played an important part of his childhood, "I grew up listening to Madness, I grew up in a big family in a small house and Our House was our theme tune to growing up". The music is what brings in the audience and George mentioned that "it's nice to have people come to the show that have a similar connection to the music too". George's long-standing fanbase can expect to come along to the show and see him do the stuff that he's become so known for, the choreographer Fabian Aloise who "allowed me to be what I am and what I do, he allowed me counts and solos where I can just be George Sampson".George also reassured me that despite growing up he's still very much the same "I still throw myself around and have no fear. I'm a bit older, but mentally I'm still a nutter". "It's very high energy, it's very loveable and British". We'll see George take the centre stage when he performs Baggy Trousers, his favourite song in the show because it's "my big solo and big number for me. It's the opportunity for me to show my stuff" so expect to be bopping along and singing along to that well-known Madness classic. To finish off I asked George about what he thinks makes Our House successful and stand out above other shows that are circulating around the country at the moment because there is a lot out there right now. "We're working so hard, we've got a very small cast in consideration to a lot of the shows currently around the UK. 16 is our total cast number. We're all working and playing 3 or 4 roles each, I'm playing 3 roles and as well as my own character. It's one of those shows you can get up and dance to, it's very high energy, it's very loveable and British. It's not your average musical, it's one of those musicals that you need to go and take a chance on, you would not regret. A lot of people have seen it and it's become their favourite show. It's very different to anything that's been done with Our House before". I would definitely urge that you give this feel good, fun musical a go when it heads to a venue near you. It heads to the Belgrade Theatre, Coventry between 8-11 November.